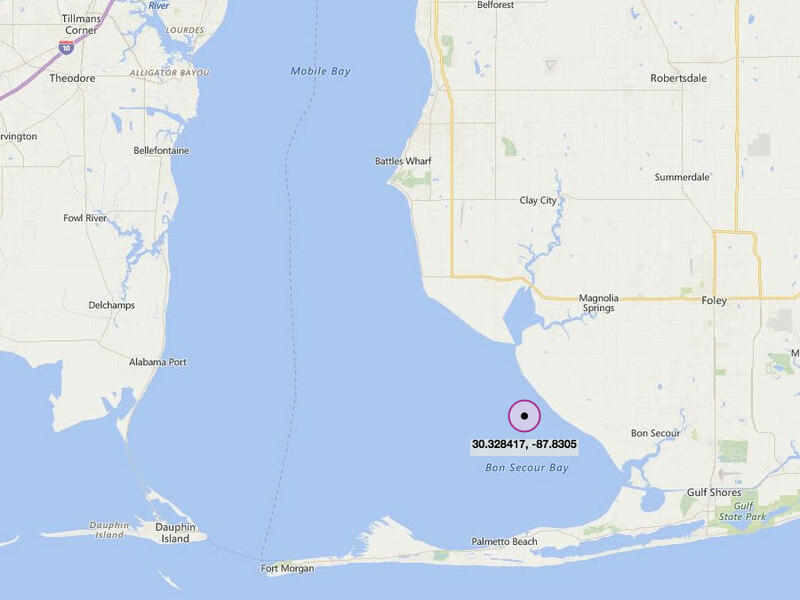 Artificial fishing reef spot in Mobile Bay located a short distance to the South of mouth of Weeks Bay. This reef has recently been enhanced with 4,809 cubic yards (6,203 tons) of gabion stone (2014-2016) by AMRD (Alabama Marine Resources Division). Please if you have any additional information about this area.